The Green Lake Collection is Live! Since I had been posting my voting record for the Hugo, I figured it was only fair to post the final results and how I feel about them. BEST NOVEL – Ancillary Justice, by Ann Leckie (Orbit US / Orbit UK) Yay! Perfect. This novel is beautiful and all of you need to read it RIGHT NOW. BEST NOVELLA – “Equoid” by Charles Stross (Tor.com, 09-2013) Eh…well, its well written but I don’t normally enjoy horror and this was rather gruesome for my taste. But no ill will. BEST NOVELETTE – “The Lady Astronaut of Mars” by Mary Robinette Kowal (maryrobinettekowal.com / Tor.com, 09-2013) Wish it had been the other, but this story is beautiful, so congrats Kowal. 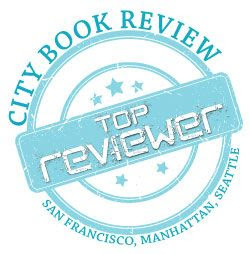 BEST SHORT STORY – “The Water That Falls on You from Nowhere” by John Chu (Tor.com, 02-2013) YAY! Again, this story was just beautiful and you all need to read it right now. BEST GRAPHIC STORY – “Time” by Randall Munroe (xkcd) Yes, yes, yes! Congrats Randall, you deserve it. This was a truly unique piece of work. BEST DRAMATIC PRESENTATION, SHORT FORM – Game of Thrones “The Rains of Castamere” written by David Benioff & D.B. Weiss, directed by David Nutter (HBO Entertainment in association with Bighead, Littlehead; Television 360; Startling Television and Generator Productions) Eh, I’m not a Game of Thrones fan, I find it all just excessive and unnecessary, but whatever, people like it. BEST PROFESSIONAL ARTIST – Julie Dillon, congrats, your art is stunning! BEST FAN ARTIST – Sarah Webb, again, congrats! And stuff I didn’t vote on…but congrats guys! The 2014 Hugo Award winners were announced on Sunday evening, August 17, at the ExCel Converntion Centre in London, England. The ceremony was hosted by Justina Robson, Geoff Ryman. Text-based CoverItLive coverage of the ceremony was provided through the Hugo Awards web site. Video streaming coverage was provided by Ustream. Check it out, over on 10-Minute Interviews! Hey guys! Sorry for my long absence. Between some health stuff and major projects, I just haven’t had much time to review books and the like, but I will be back soon! Probably with a less aggressive review schedule. But for now, have a news digest! I was interviewed for Relate Magazine, you should check it out here! It was a lot of fun, and I think its a great magazine dedicated to helping young women have healthy views of themselves and their opportunities in life. 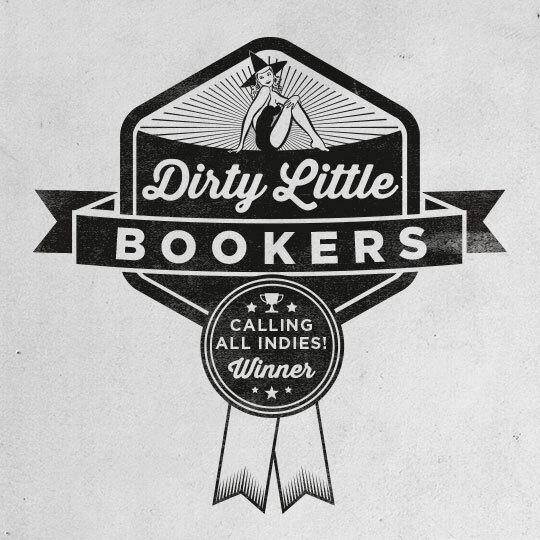 I had a lot of fun working with the Dirty Little Bookers a couple months ago as their first Calling All Indies award winner, and they just finished designing the badge to put up on our stuff, so check it out! From now until forever it’ll live in the sidebar as a point of pride. For those of you on the mailing list, never fear, your free short stories will keep on coming. I’ve also been hard at work on the sequels to Undeliverable and Thea of Oz, so keep an eye out for those at the beginning of the next year. If you’re getting ready to do Christmas presents, why not gift a book? Between Undeliverable and Thea of Oz, I can cover most literary tastes, and if you want to give something hand-made, why not check out my Etsy store? Lots of pretty things at reasonable prices! I hope you all have had an awesome September, and are looking forward to October. I know I sure am. I’ve got some fun projects I’ll talk to you guys about in a few days! Your character is part of a collective consciousness, how do you handle that? My flash fiction piece, “Grimm’s Home for Geriatric Fae“has gone live over at Fantasy Scroll Magazine! Its the first ever piece of short fiction I was actually paid for, so be sure to check it out! If you want to support this fabulous journal, you can purchase this issue, or even subscribe! Hope you enjoy! Carver’s books use a basic scientific concept (chaos-theory) to spring his entire plot from. Pick a scientific concept and use it as the basis for your own plot. Your character is having a reunion weekend with their best friends from ages ago. What do they reminisce about and what kind of trouble do they get in? My New Project is Up and Running! As some of you may have heard, I’ve got a new project called The Speculative Craft, and the first round of content is finally up! Come check it out, and remember, you can always Get Involved!